Tone Ng Shiu kick-started the proceedings with a sixth minute try for New Zealand with Andrew Knewstubb kicking the extras. The response from USA came in the 10th minute when Stephen Tomasin crossed over but with the conversion missed, they were trailing by two points. 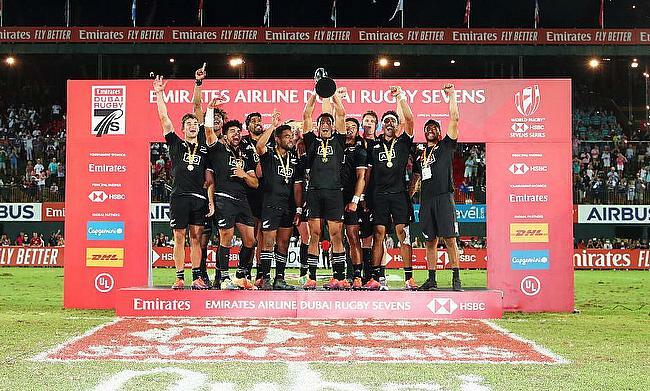 USA's hope of winning the Dubai 7s for the first time was dashed with New Zealand scoring further tries from Dylan Collier and Ngarohi McGarvey-Black in the 12th and 15th minutes respectively to complete a 16 point win. “There wasn’t much said [before the final], said Scott Knewstubb, who was named the HSBC Player of the Final. Earlier, New Zealand reached the final by edging out England 5-7 in the semi-final while USA defeated Australia 17-22. England though managed to secure the Bronze with a thrilling 15-14 win over their rivals Australia while Samoa won the Challenge Cup after winning 33-24 against France. The teams will converge in Cape Town for the second round on 8th and 9th December.